Research shows that SEL increases prosocial classroom behavior, teaches cognitive control, changes students' home life, and prepares them for future success. Daniel Goleman is best known for his 1995 bestseller Emotional Intelligence: Why It Matters More Than IQ. It was a groundbreaking book in its day, in that it completely redefined our understanding of our emotions. It was one of the seminal works advocating social and emotional literacy. Goleman's work still examines the unconscious influences on our conscious mind, and gives us tools to understand and harness these influences to positive ends. In his latest book, The Triple Focus: A New Approach to Education, he collaborates with Peter Senge to showcase the importance of cognitive control in helping students make good decisions. I talked to him about cognitive control and the research that supports social and emotional learning (SEL). Edutopia: What does the research say about how social and emotional learning impacts academic achievement? Prosocial behavior (e.g. behaving appropriately in class, liking school, and good attendance) increased by 10 percent. Antisocial behavior (misbehaving in class, violence, bullying) dropped about 10 percent. Most interestingly, academic achievement test scores went up by 11 percent. And the benefits were most significant in schools that needed them the most. The effect of SEL on behavior and academic achievement comes as a pleasant surprise. My understanding is that students are more focused because they have learned how to effectively manage their attention, they like being in class, and they're less worried about discord and bullying. When these classroom behaviors improve and students feel comfortable in an academic setting, they will learn better. From an educational perspective, this is a terrific case for bringing SEL into schools. Edutopia: Will you explain the concept of having "grit" and how this relates to cognitive control? In Paul Tough's book, How Children Succeed, he explains the value of grit. A child with grit can identify a goal and strive toward it, even when she's faced with setbacks and difficulties. And grit is actually one of the many abilities based on cognitive control, or the capacity for keeping your attention where you want it to be. Because the brain uses the same circuitry to both focus on a goal and manage destructive emotions, it's crucial that we help children strengthen their cognitive control. In doing so, we're also aiding them in strengthening a range of other key skills. 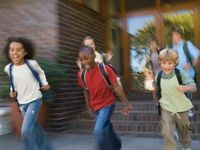 These concurrent benefits help to curb an array of difficult behaviors that we frequently try to stave off with rules, restrictions, and punishment. So even though we all need some kind of rule structure, expecting it to be effective for a child who has no cognitive control is a lot like closing the barn door after the horse has bolted. Consider a 2010 study done in Dunedin, New Zealand, in which researchers followed every child born in the city over the course of a year -- more than a thousand children. At each grade level between the ages of four and eight, the children were tested thoroughly on cognitive control. The researchers then tracked them down when they were in their 30s and found that those with better cognitive control as children had greater financial success and were in better health than those who had tested poorly as children. Cognitive control actually turned out to be astonishingly powerful as a predictor of life success -- stronger than childhood IQ or even the social and economic statuses of the child's family. The take-home for schools is that we could be teaching kids to enhance their cognitive control. In some sense, this ability comes down to how well you pay attention -- and attention is a mental skill that can be increased and cultivated. So if this is a skill that can be taught and further enhanced by the right lessons, why not give every child these advantages? Edutopia: How do you respond to the criticisms of grit, which suggest that grit is part and parcel of a cultural advantage, and that it ignores the larger cultural complexities that disadvantaged kids face? First, what do we mean by "success"? Tough seems to take school performance as the measure of success, but that seems to me too narrow a view for understanding a life trajectory. It's true that school success -- and the correlates of such, particularly IQ -- are excellent predictors of the type of job someone can hold. But IQ does not predict who will be a star performer, nor emerge as a leader. Competence models, done by organizational human resources to identify what factors make someone a standout performer, ignore IQ and school performance -- they are irrelevant by the time you are competing with others on the job, where emotional intelligence skills like self-awareness, self-management, empathy, teamwork, and the like identify the best workers. Second, Tough exaggerates the role of grit alone in success, failing to recognize this is but one aspect of a more fundamental ability: cognitive control. Furthermore, he doesn't acknowledge the relatively thin empirical basis for grit as compared to the decades-long, robust findings on cognitive control (also known as impulse control or delay of gratification, among other concepts). The famous marshmallow test for cognitive control heavily documents its importance in life success -- a 30-year longitudinal study of children's cognitive control found that it predicted adult health and financial success better than IQ. My point is that there is no magic bullet. That’s why Peter Senge and I are integrating SEL with systems thinking, in addition to the standard academics to give children the best toolkit for life. Edutopia: Does formal SEL training in schools have any effect on children's behavior at home? If so, how does this manifest? Absolutely. And the best SEL programs all have a component for parents. We know there's a natural flow between the classroom and the home. For instance, children learning self-management will often bring this SEL lesson home to the family and say to a family member, "I see you're starting to get upset. Why don't you take some breaths?" Such reports from home are common because the divide between school and home is somewhat of a fiction. A child lives in her whole world, not in segmented areas. And what she learns in one place, she brings to the other naturally whenever and wherever it applies. One of the best practices in SEL is to involve parents as much as possible. That way, what children learn in school gets reinforced and supported by the people who matter to them the most: their families. How do you help your students or children develop their cognitive control? Share your strategies in the comments below.